Healthy eating is all about a balanced diet, it is not about depriving yourself of foods or skipping meals to try and lose weight. By having a regular meal plan and routine and by eating a wide range of food groups you can curb your cravings and unhealthy choices and keep your heart healthy and decreasing the risk of conarary heart disease, stroke, diabetes and forms of cancer. The eat well plate makes healthy eating easier to understand by giving a visual representation of the types and proportions of foods needed for a healthy and well balanced diet. The eatwell plate is suitable for most people including people of all ethnic origins and people who are of a healthy weight or overweight. It is also suitable for vegetarians. However, it does not apply to children under two years of age because they have different needs. Anyone under medical supervision or with special dietary needs might want to check with their GP, or a registered dietitian, to be clear about whether or not the eatwell plate is suitable for them. Eat breakfast – this will help curb snacking and will keep you fuller for longer. It will help with mood, behaviour and concentration levels too. Cut down on saturated fats and sugars – these are the ones which are solid at room temperature an can increase our risk of high blood pressure, stroke and coronary heart disease. Examples to cut down on are butter, cheese, fatty meat such as sausages, cakes, pastries, biscuits and sweets. Drink plenty of water – hunger can often be confused with thirst. By drinking more water this will keep the body hydrated. Aim for recommended 1.2 litres of water per day about 6-8 glasses of water per day. Eat brown instead of white – simple choices such as wholemeal bread instead of white bread, wholegrain pasta instead of white pasta. Why? Whole grains are slow releasing; they have more fibre, which will keep you fuller for longer. Eat more fish – recommendations are 2 portions a week. One of those should be an oily fish such as mackerel, sardine, tuna or salmon. Why? Oily fish is high in omega-3 fats, which may help to prevent heart disease. Eat less salt – recommended daily intake for adults is 6g of salt about one teaspoon. Sodium when written on food labels is another way of talking about the salt content in food, it is however measured different than salt. Maximum sodium per day is 2.5g. Check cereals, bread, ready made meals, processed foods, fatty meat, and canned food, as these all contribute to a high sodium intake. 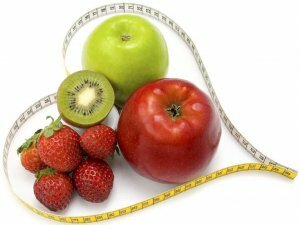 Eat more fruit and veg – it is hard to eat 5 A Day we can all struggle. Try including fruit with your breakfast, unsweetened fruit juice at lunch time or frozen veg with your tea. Potatoes don't count as part as your 5 A Day as they are classed as starchy carbohydrates and may replace rice or pasta as part of a meal. Root vegetables sweet potatoes, parsnips, suede etc. do count. Easy Swaps - swap your packet of crisps or your chocolate bar for veg sticks with homous, crackerbread with low fat cream cheese, crumpet, fruit, yoghurt (look at sugar/fat), handful of nuts (watch calorie intake) saving you 1-1.5lbs of fat a month. Reduce alcohol and caffeine intake – these can be calorie loaded with high amounts of sugar and can increase levels of blood pressure. They can affect mood and behaviour. Use a chart to determine how many teas, coffees, fizzy drinks, energy drinks, units you drink a day and aim on cutting these down. For example an energy drink can have an average of 10-12 teaspoons per can/bottle. Healthy snacking can moderate your sugar levels throughout the day, help with concentration levels and be part of a healthy balanced diet. When we reach the 'slump' mid afternoon it's so easy to grab a quick fix in order to keep us going to the end of the day. Whether you reach for the biscuit tin at home, grab something from the vending machine, a high calorie caffeine energy drink or a sneaky trip to the shop for that 'treat' you deserve there is one guarantee they will be high in sugar, high in fat or both. What could you eat instead? Do you treat yourself every day? Do you plan your meals? Often challenging and thinking of your behaviour will allow you to make more of an informed choice and be more willing to change. Eventually this will become a habit and you are more likely to be successful with eating healthier. 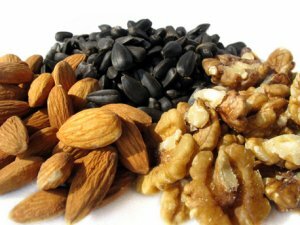 Below are a list of examples of healthy snacks remember that an increased snacking can lead to increasing your calorie intake, so it's all about substituting your 'food 'sins' for healthier alternatives not to consume more. Copyright © 2019 Blaby District Council, Council Offices, Desford Road, Narborough, Leicester, LE19 2EP.